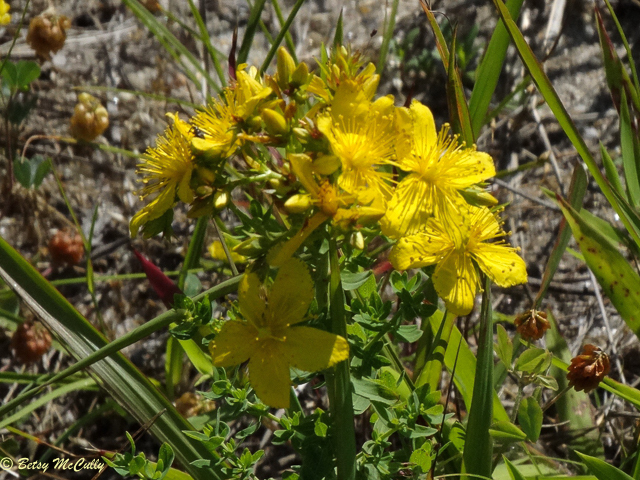 Bushy Saint John’s Wort (Hypericum densiflorum). Hypericaceae family. Native. Wet meadows. Endangered in NYS; restricted to Long Island. Calverton Grassland, Suffolk County, Long Island, 2016.